In this Jan. 15, 1919, file photo, the ruins of tanks containing more than 2 million gallons of molasses lie in a heap after erupting along the waterfront in Boston's North End neighborhood. Several buildings were flattened in the disaster, which killed 21 people and injured 150 others. 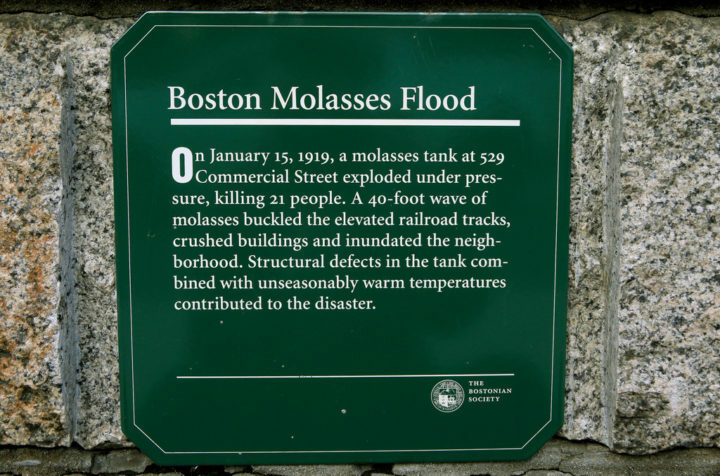 A placard commemorating the Great Molasses Flood rests on a wall at the site of the 1919 disaster in Boston's North End neighborhood. 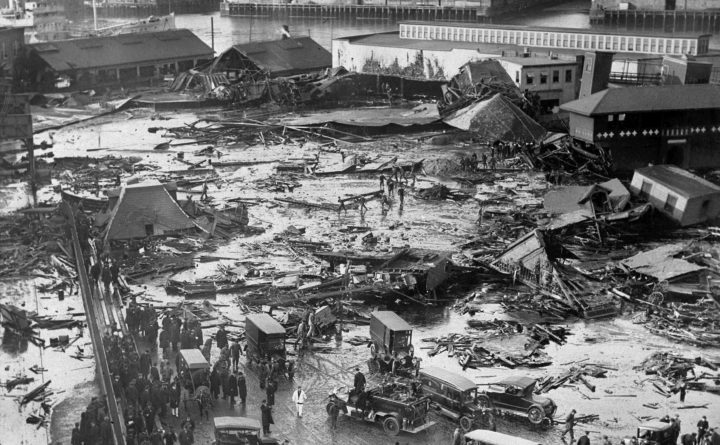 The city will mark the centennial of the disaster, when the tank containing more than 2 million gallons of molasses erupted, killing 21 people and injuring 150 others.